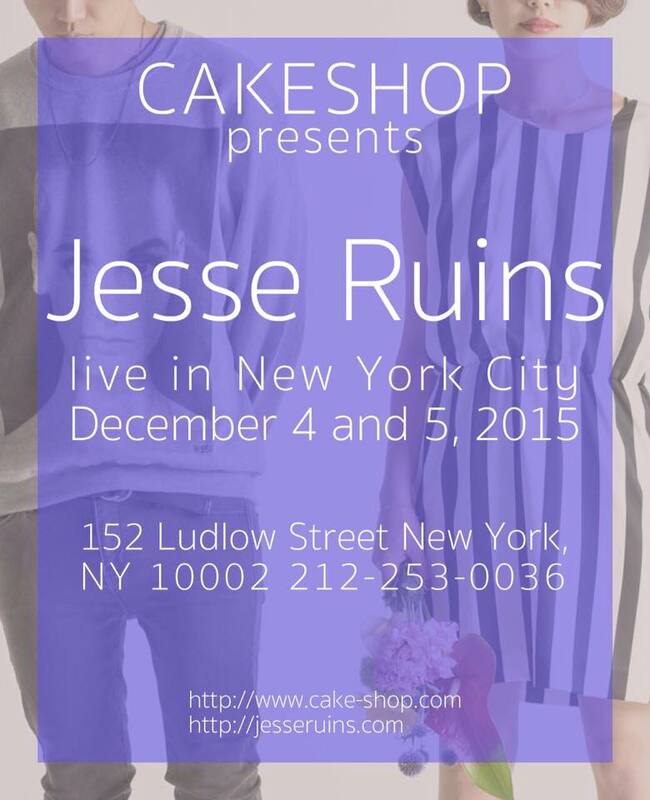 Cakeshop hosts the U.S. debut of Jess Ruins, an electronica/shoegaze band from Tokyo. Jesse Ruins was formed in the spring of 2010 by Nobuyuki Sakuma as his solo project. He released a sold-out cassette on Cuz Me Pain, an independent label in Tokyo, and was featured on the label’s compilation album in the same year. In 2011, Nah joined Jesse Ruins, and after recording some tracks that were picked up on Gorilla vs Bear, The Fader, and others, they released their first 7” on Double Denim Records. In December 2011, they signed to Captured Tracks and released a new EP. Their most recent album, Another Type of Heartless, is a set of remixes that was released by Magniph in May of this year. To purchase tickets, please visit ticketfly.com.